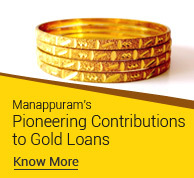 Manappuram Finance Ltd. is a leading non-banking finance company (NBFC) in India predominantly engaged in gold loans. 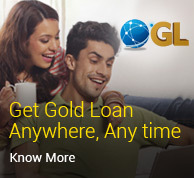 Incorporated in 1992 and promoted by Shri. V.P. 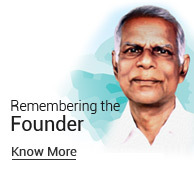 Nandakumar, the company was listed on the BSE in 1995. Over the two decades since, it has grown rapidly and expanded across India. As of September 30, 2017, the Company had 4148 branches across 23 states and 4 UTs with Assets under management (AUM) of Rs 13,723 crore. The company’s net worth stood at Rs. 3,575 crores. 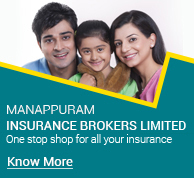 Manappuram Finance Ltd. and its MD & CEO, Mr. V.P. 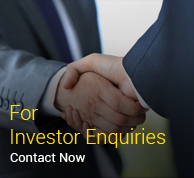 Nandakumar, is widely hailed in stock market circles as one of the leading wealth creators for investors. In January 2017, MoneyLife magazine ranked the company at 13th in a list of the top 20 wealth creators in the stock market over the preceding decade. 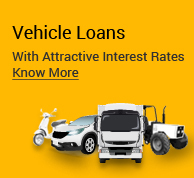 RECENT DIVERSIFICATIONS: In recent years, the company has diversified into promising new areas like microfinance, affordable home loans, commercial vehicle finance, SME lending, insurance broking etc. 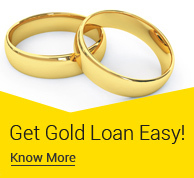 The entry into microfinance follows the acquisition in 2015 of the Chennai based Asirvad Microfinance Pvt. Ltd. New businesses now contribute about 20 percent of the total business of the company. Over the coming years, that share is likely to go up in line with the company’s vision of becoming a diversified, multi-product NBFC.